As an Intake Specialist for Main Line Family Law Center, Tara helps clients decide on a general direction prior to scheduling a consultation. Her role is to educate and empower couples to understand their options and determine their next steps. She also answers questions related to our practices, processes, fees, and scheduling. Personal experience taught Tara that divorce is not a problem in our culture, but rather a potential solution to a problematic marriage. Therefore, she views divorce as a shared goal, and she strives to support couples in reaching that goal in the most productive way possible. 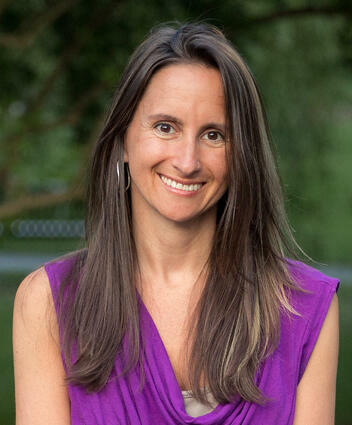 Aside from her duties at Main Line Family Law Center, Tara works as an author, coach and educator with a passion for healthy and happy family transitions. She provides personal private divorce coaching as well as online courses and community events. Tara’s the author of the book The D-Word: Divorce Through a Child’s Eyes and the blog, Relative Evolutions. She’s been interviewed for various radio and TV programs, and her writing has been featured by The Huffington Post, Divorcedmoms.com, Family Affaires, DivorceForce, and Stepmom Magazine. Tara holds various certificates and training as a divorce coach, mediation and interdisciplinary collaborative law. In her community, Tara is a member of Big Brothers Big Sisters, as well as the Pennsylvania Council of Mediators. She donates time as a Classroom Volunteer and Symposium Mentor for Junior Achievement of South Central PA. Tara is also a volunteer mediator and Board President of Neighborhood Dispute Settlement in Harrisburg. On a personal note, Tara has two cats, makes time for weekly yoga classes, and spends much of her free time appreciating nature from one of many Pennsylvania hiking trails.